Mansfield Court House, a simple, symmetrical building with a dominant double-height courtroom flanked by single storey administrative wings, features a wooden verandah and gable roof of slate. 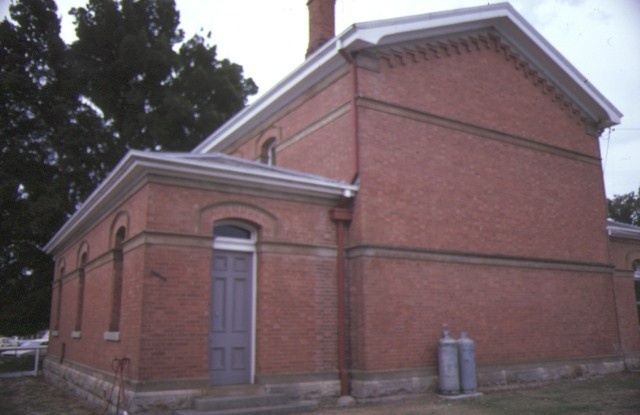 It is made of tuck-pointed solid brick on a rock-faced sandstone and rendered brick base, with rendered sills, string courses, and window and fascia detailing. The building was designed by George W. Watson of the Public Works Department and was constructed in 1879-80 by D Carison of Alexandra. 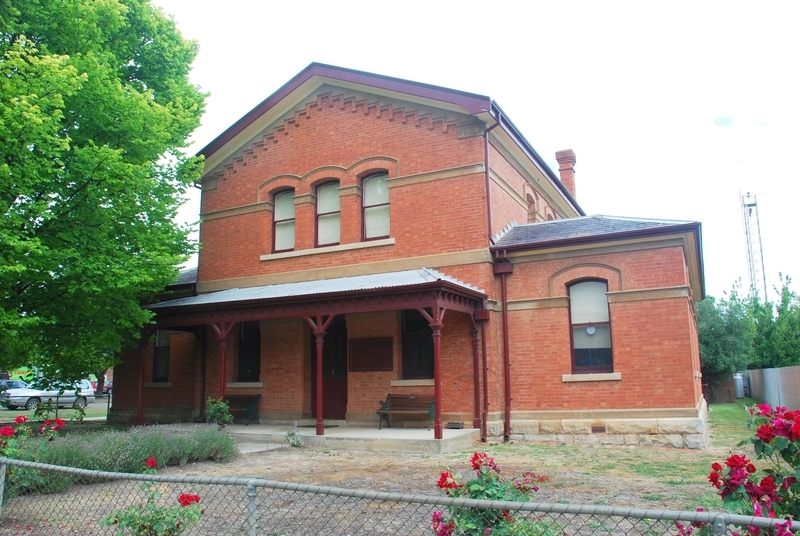 Built as a circuit court, Mansfield is one of the larger court houses designed in the Victorian Free Classical style and includes offices, public areas and prisoner holding rooms that were not regularly provided in earlier or smaller country court houses. Original timber furniture, including the Magistrate's Bench, the Clerk's table, jury box, witness stand, defendants' dock and seating are intact within the courtroom, which has exposed timber trusses and a timber lined ceiling. The timber verandah posts with knee brackets and simple timber frieze above are original features, but its concrete base is a twentieth century modification. An entrance vestibule off the verandah is an unusual feature for courthouses of this type. The vestibule is separated from the courtroom by a single-height panelled timber screen with matching timber-panelled ceiling. Mansfield Court House is of historical and architectural significance to the State of Victoria. 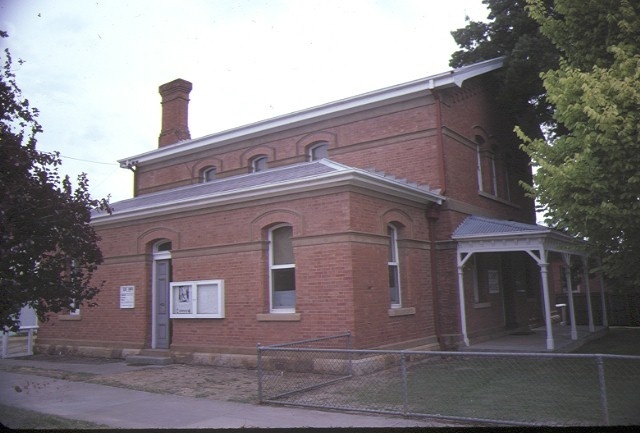 Mansfield Court House is historically significant for its association with George W. Watson (1850-1915), who designed the building in 1879 while working as a temporary assistant draftsman in Victoria?s Public Works Department. 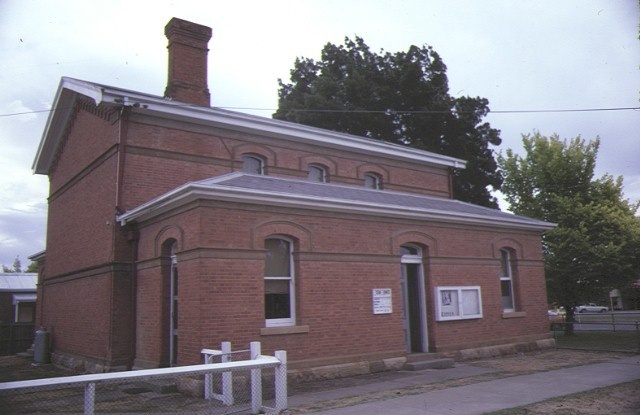 In a distinguished career, Watson progressed to become the PWD's Chief Architect (1910-15) and was responsible for numerous major works, among the most notable of which is the boom style Bendigo Post Office and Law Courts (1892-6). Mansfield Court House is also historically important for its potential to educate present and future generations about nineteenth century court proceedings because the building's original basic plan, including the court room and interior furniture, remains intact and the building continues to function as a court in accordance with its original design intent. Mansfield Court House is of architectural importance within the large group of Victorian Free Classical style court houses with a verandah as a highly intact and representative example of this group, and as the only court house in the group that was built as a circuit court. Court House, 88 High Street, Mansfield.